Outside, beyond what is right and what is wrong, there is a huge field. Where is this huge field beyond what is right and what is wrong that Rumi speaks of? At first I thought it might be the gray area in between right and wrong; where things are not black nor white. But I don’t think this is where Rumi is talking about. I believe he has chosen his words carefully; he said beyond. What is outside beyond what is right and what is wrong? Imagine being faced with a situation. We might initially consider ourselves in the space before what is right and what is wrong. As we assess and analyze, we move into the space of what is right and what is wrong. The space where there is no judging. Entering into this space requires us to check our baggage. Yes, so to speak; entering into this huge field of no judgment requires us to leave behind our worldview, our assumptions, our biases, our values … all those things that enable and facilitate judging. Imagine witnessing two men walking hand in hand, occasionally kissing. I suspect I have just activated your judgment. You may be okay with this. You may not. Both are judgments, based on your worldview/assumptions/biases/values. You are in the land of what is right and what is wrong. If, when seeing the two men, you were in Rumi’s huge field, you would simply see two men, walking hand in hand, occasionally kissing. As if you were a video camera, capturing the action. The video camera is outside, beyond. No judgment. That was just one situation. There are, of course, many, many others, public and private. For starters: Enron. Columbine. Bernie Madoff. Bin Laden. Newtown. And from Rumi’s huge field outside, beyond what is right and what is wrong, what do you see? No judgment is hard isn’t it? It is not natural. We must move outside, beyond. Without our baggage. Moving into that field beyond right and wrong is an essential skill for me in my work. To be honest, though, I am not always able to get there. But when I am able to get there I am so much more effective! When dealing with people issues and process issues and performance issues, if I can get myself into that no judgment field I have a significantly increased chance of understanding what is really happening and seeing what is fundamentally driving behaviors and performance. From outside, beyond, I have a much better chance of seeing real cause and effect. It’s also a field of incredible peace. When I remove myself from the judgment seat, my mind experiences a rest like nothing else. Ten years ago, I was on a project that involved a 10 mile commute from northern Virginia to downtown Washington DC. Those 10 miles took 45 minutes, whether by car, subway, bus, or bicycle. I usually drove, but the frustration of traffic meant I often arrived at work angry. Then I stumbled on to a CD of “The Power of Now” by Eckhart Tole. I don’t subscribe to all of the teachings in the book, but the practice of mindful meditation, particularly the suspension of judgment (in my case, while driving) was life changing. I learned to observe the world around me, but make no judgments of it, for the entire commute. 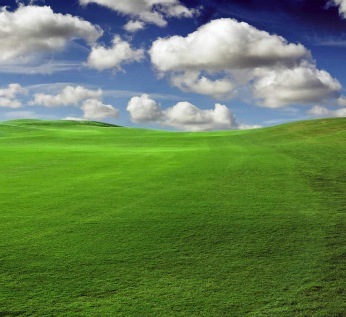 I lived in a vast field that was peaceful, restful, even joyful. Alas, I’ve found it very difficult to maintain that state of mind during activities more complex than driving my car. I can imagine it, though. It would be a wonderful place for all of us to meet. I’m going to have to check out that Tole CD! Thanks, again, for reading, and for commenting! Being one who believes in absolutes. Isn’t moving into that field beyond right and wrong a judgement in of itself? Being one who also believes in absolutes, I think this is an exception to the general notion that choosing nothing is still a choice. I thought about your question this way…in a legal recusal, a judge deems him or herself incapable of being impartial, and so is disqualified for ruling over the case. The recusal says nothing about the guilt or innocence of the accused. I think this is the sense of the Rumi quote. To leave the judgment seat and simply observe without declaring guilt or innocence. That doesn’t mean there is no right or wrong, it just leaves the question of guilt or innocence to another. In John’s case, the trick must be to meet people on their own ground in order to help find a solution to a problem. I imagine it’s rather difficult to “meet someone where he is” if you’ve already decided he’s wrong. But if you can suspend judgment and just observe, a deeper understanding of his situation may be accessible, which may then lead to a better way out of the current situation or problem. Ahh, Tony, I believe you’re right; I believe it is (a judgment in itself); but then who is doing the judging? As I move outside beyond what is right and wrong, what judgment am I making? I am just choosing to see things as they are. Like that video camera. There is no external measure, no standard; no expectation. I think that you thinking that I am making a judgment … well, you seem to be the one making the judgment, not me! I love this one. Just had this discussion with my boss. While we must try to suspend judgement in decision and action, it is so darn hard to be pure in that. I guess the trick is to be self aware of your biases so that you can make the calls without paralysis or guilt.Being honest with yourself isn’t simple is it? Suzanna, I love your commentary … thanks for extending and deepening the conversation!